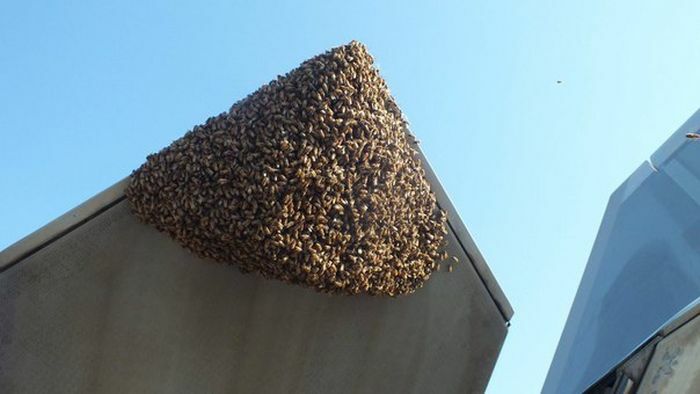 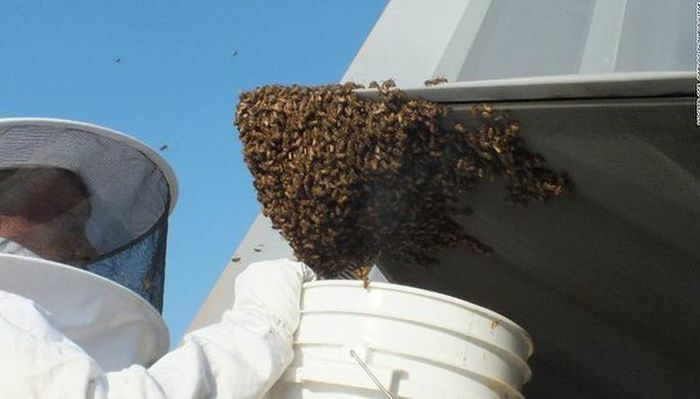 A swarm of honey bees recently bombarded a F-22 Raptor at an Air Force facility and beekeepers say that they counted 20,000 of them. 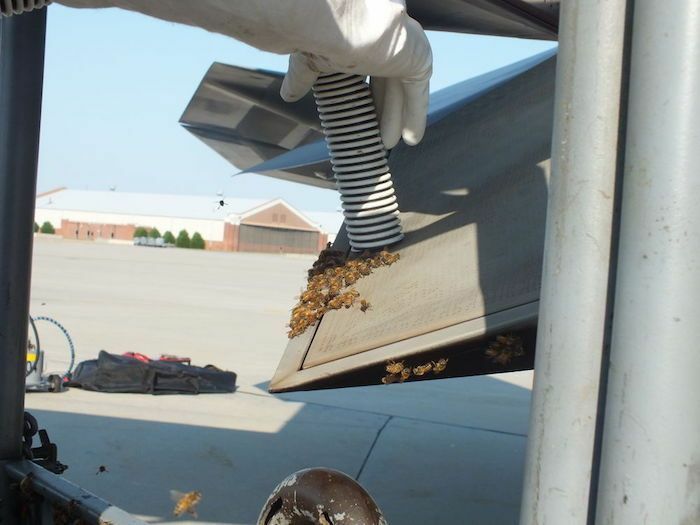 The bees were removed and transferred to a safe place, but it appears that they really don't like F-22 Raptors. 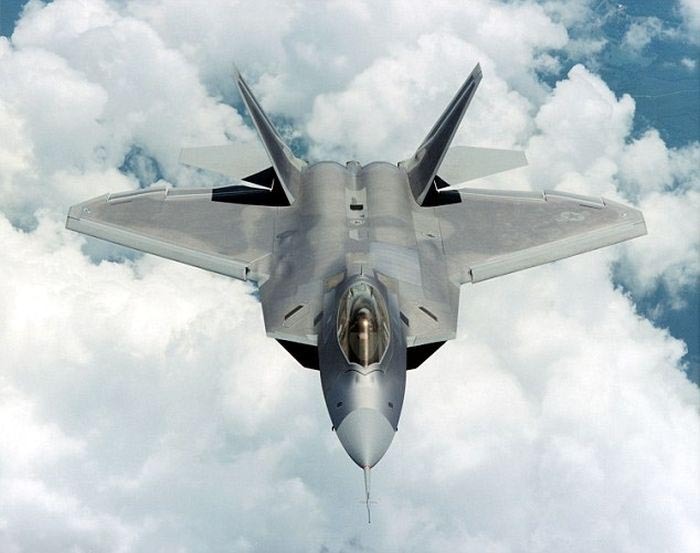 Don't know where you get the 'really don't like F22 Raptors' from. 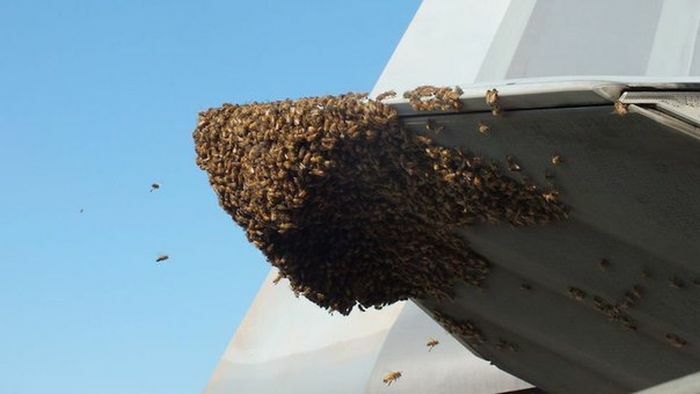 I bet they couldn't care less about the F22, it was just a convenient place to hang out for a while.